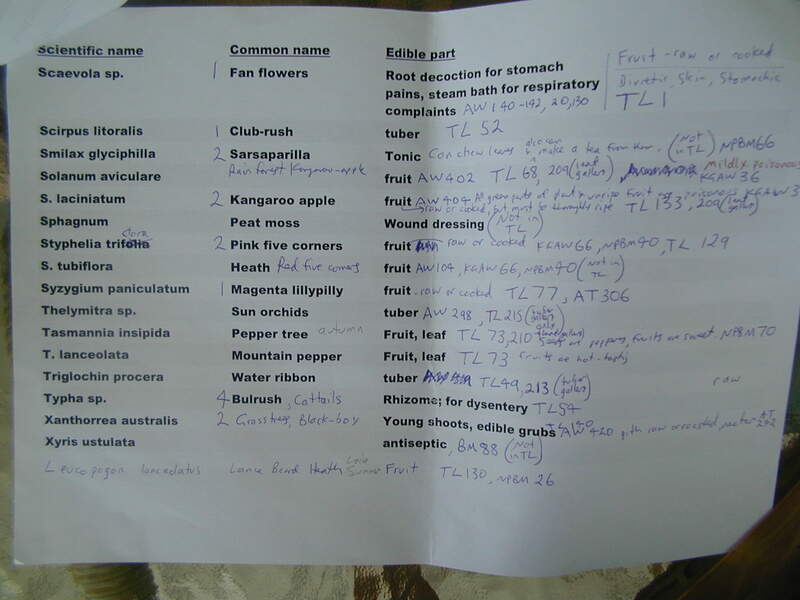 This page contains the list of "bush tucker" plant foods that I have been learning. The list comes from the book "Blue Mountains Dreaming—The Aboriginal Heritage", ed. by Eugene Stockton (see my books page). Most of these plants (probably almost all of them) would be found elsewhere in the greater Sydney region. The list contains 72 entries. Some of the entries are entire genera (such as "eucalyptus"), which comprise more than one species (a great many species in the case of eucalyptus). This list probably contains many more plants than you should attempt to learn at once, or that you would want to start off your education in plant foods with. 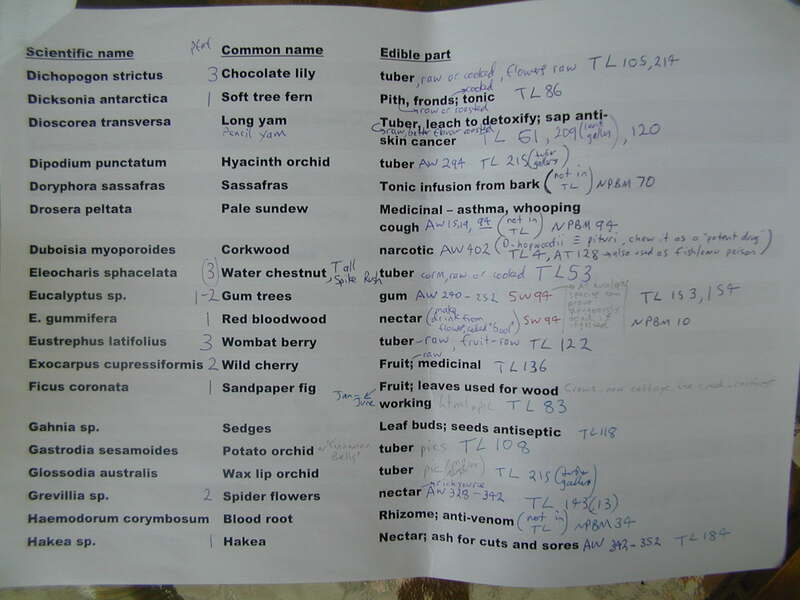 Later on I will add to this site a much smaller and more manageable list of plants to learn first. Not all of the entries are food plants—some are medicinal, or have other uses. Some of the plants have an edible part (or parts) and another part (or parts) with a medicinal or other property. So just because it is on the list does not necessarily mean you can eat it. Eventually I would like to add another column to the list containing information on what season(s) the plants can be harvested in. The above versions are formatted so that they can be printed and stuck on the wall if desired. The font is bold, to make reading easier from a distance. I have had them stuck on the wall next to my bed on and off at various times. 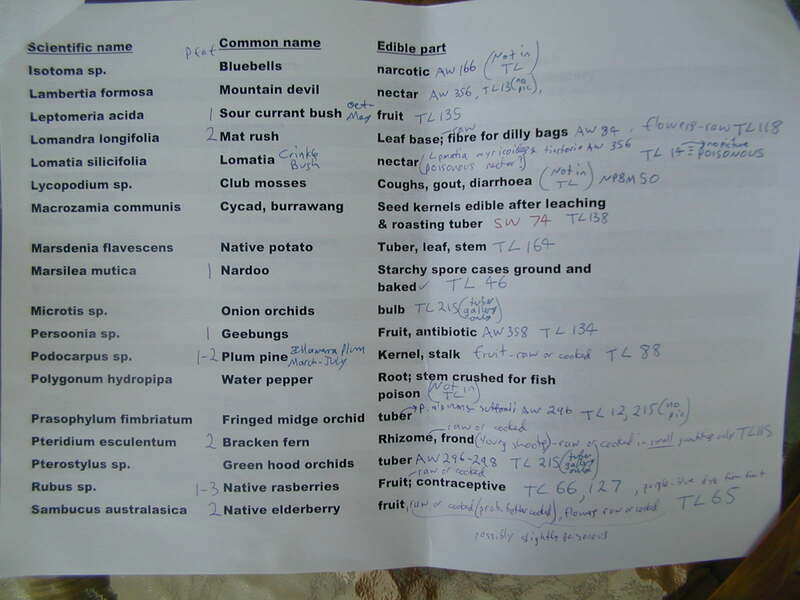 The references in the rightmost column are to page numbers in various plant books that I have (the details of these are given below). The reference column is not yet complete as I have not got around to typing them all up, although I have them written out on paper. 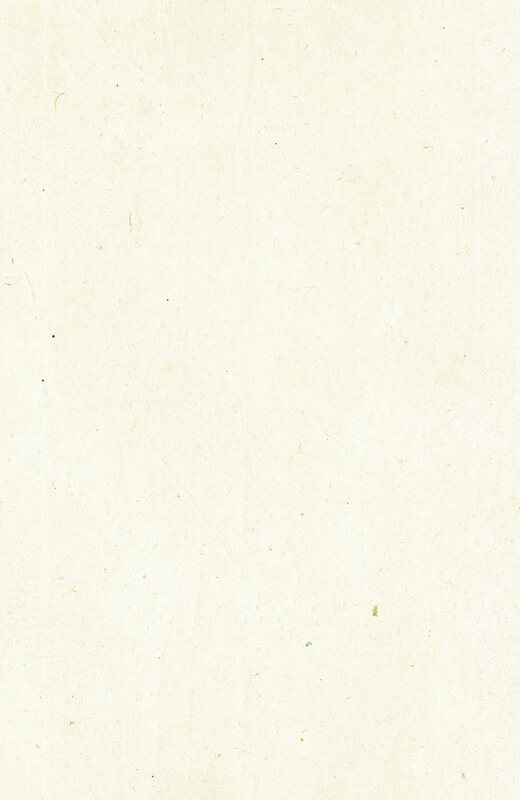 If you want to know the references in the meantime, pictures of the paper version of the list are linked below. The list is four pages long in total. I didn't look up all of the plants against all of the references below—so many of the plants will be in the books below without the references being shown on my list. Rather, I was trying to find at least one reference for each plant. The first book I looked in was "TL", which contains most of the plants on the list. If the plant was not in that book, then I would look in another book, and so on, until I found a reference for the plant. 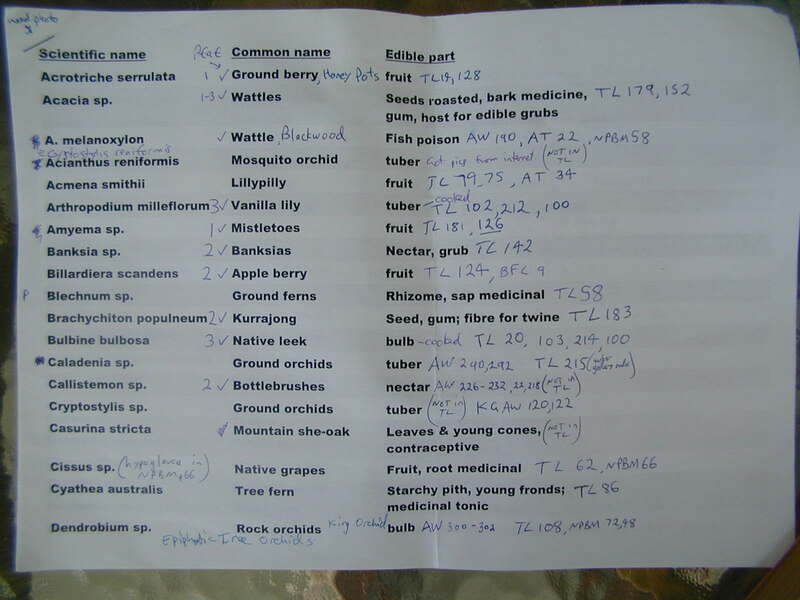 Almost all (all but one, or something like that) of the plants on the list can be found in the NSW PlantNet database. I looked up all the plants and printed an A4 page of information about them from PlantNet, and put them together in a folder. BFL = A typo, it's meant to be "BFC"
TB = Tom Brown's Field Guide to Wilderness Survival, Tom Brown Jr.